It is also known as nagarmotha, cyperus or cypriol essential oil. 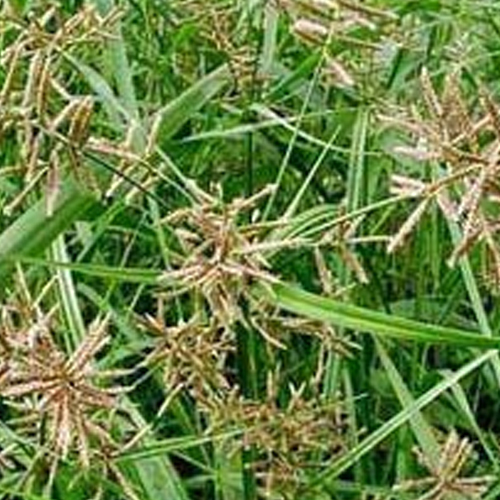 Native to India, this essential oil is extracted from the roots of Cyperus, a sedge plant. The oil is a mobile liquid in dark yellow to brownish color. It has a strong, warm and woody odor, similar to the typical note of Vetiver and Oudh. The essential oil has a woody and earthy odor. It is widely used as an important ingredient in the making of perfumes and incense sticks. It also adds a distinctive and interesting note to masculine or unisex perfumes. As a negative side effect, it could cause bleeding so pregnant women should avoid this oil. With the support of our reputed shipping partners DHL, Fedex, UPS, TNT, and EMS, we ship our stock to various markets.